FBI profilers don't view video games as a cause of shootings and other violent crime, a former profile said yesterday morning on CBS' Face the Nation. 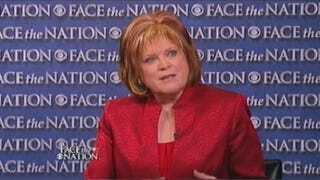 Profilers still include an interest in games when making their threat assessment of whether a person is at risk to act out violently, Mary Ellen O'Toole (above) told the public affairs show. Profilers also examine if an offender used video games as a kind of planning tool for carrying out an attack. However, "We don't see these as the cause of violence," she said. "We see them as sources of fueling ideation that's already there." O'Toole's remarks align with the finding of another study performed by the U.S. Secret Service, albeit 10 years ago, which found that 12 percent of those who had committed violent crimes at a school had an interest in violent video games. More of them—37 percent—wrote things that expressed an interest in violence. Christopher Ferguson, the professor of psychology at Texas A&M International and a critic of those who blame video games for violent crime, also appeared on the panel, warning against the "moral panic" that scapegoats new media for societal ills. Ferguson repeated the oft-cited statistic that violent crime among youths has actually receded to its lowest point in 40 years, despite games becoming more sophisticated and ostensibly more violent over that span. Ferguson added that this has no causal relationship to violent crime, either. In January, he noted to Kotaku that there have been more than 100 studies of video game violence and aggressive or violent behavior, and "most of them are horrible." I'm still cynical that any of this moves the needle on the actual policy debate, however. Once politicians have identified what they think is the cause of a problem, it's difficult to budge them off it, especially if it involves a wedge issue such as gun control. "We're in a mode of worry about—or panicking about this type of media," Ferguson cautioned. "We may do some putting the cart before the horse, and we may see some people sort of starting with a conclusion and trying to assemble data in a very selective way to try to support that conclusion." I think that's exactly what we've seen.